Great and exciting news guys! 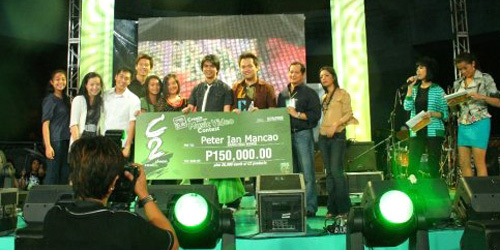 Our Experience the C2 Life music video won in the recently held C2 Best About Life Music Video Contest! In short, we won! Yey! All thanks to your support! 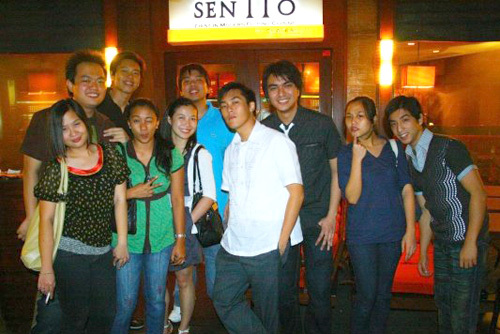 The music video was of course created and produced by Peter Mancao and Angelo Agojo. 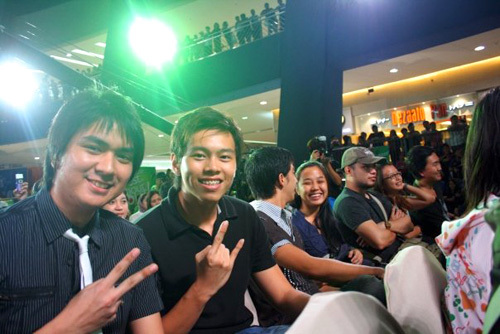 The awarding was held in SM Mall of Asia hosted by Nikki Gil and fellow Myx Vj Monica. Several bands played and rocked the evening including Imago and Kyla. The top 10 entries were introduced during that night and the top 3 winning entries were unveiled. Angelo and Peter being interviewed by Nikki Gil and Vj Monica. A good friend AJ got serenaded by Kyla. Haha. The grand prize was P150,000 in cash and P20,000 worth of C2 drinks. Till next time ulit! Enjoy! I told you man!The video that you sent is the greatest way to endorse the product, it is very now and more importantly the theme of the contest is literally there. Artista ka na pala. Congrats for the win!